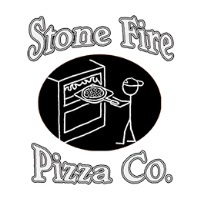 Stone Fire Pizza serves Hidden Valley Lake's best hand-crafted pizza. Our ingredients are fresh and our pizzas are delicious! Our pizza consists of a hand-tossed bread-like crust with seasoned tomato sauce, cheese and your choice of toppings. We provide delivery or carry out online, or come visit us on the corner of Hartman Rd and Coyote Valley Rd.